Is Milky Way galaxy bent like a sombrero? Si! 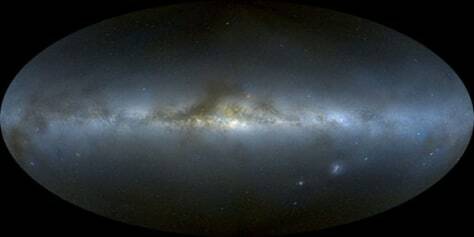 Axel Mellinger of Central Michigan University created this panorama of the Milky Way from 3,000 individual photographs that he melded together with mathematical models.